Harmonica players have proved very clever in adapting a C-harmonica to play in many keys. While first, second, and third positions are the most popular, you can make some great sounds in twelfth, fourth, and fifth positions as well. Twelfth position has been seldom used until recent years. Its scale is nearly a major scale, except that the fourth degree doesn’t sound normal because it’s sharp. Sometimes that note can create cool effects, especially in movie music. 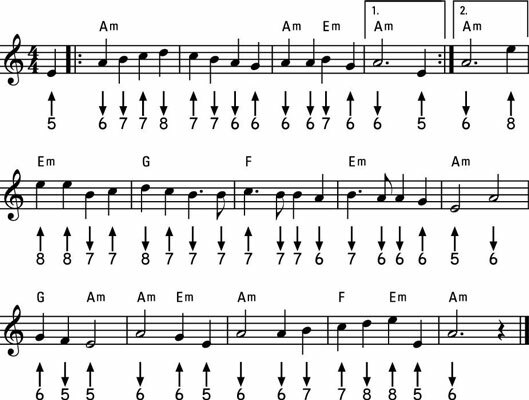 However, while folk songs rarely use such exotic sounds, a few of them omit that scale note entirely, making them good vehicles for exploring the unique sound of twelfth position. “À la claire fontaine” first appeared in France near the end of the 18th century and immediately caught on in Canada as well. Even though it tells of the disappointment of lost love, its simple yet haunting melody is often sung by small children (for a notable example, check out the film The Painted Veil). This version of the melody, from Québec, differs slightly from the version sung in France. On the harmonica, this song can be played in first or twelfth position. By the way, the backing chords on the audio track are more sophisticated than you might hear in the simplest renditions of this song. However, they reflect the way of harmonizing folk tunes currently used by French-Canadian folk musicians. “The Huron Carol” matches the scale found in fourth position. The easiest way to play in fourth position is to use the high register because the home note in the low register requires well-honed note-bending skills. Playing up high doesn’t require any bends to get missing notes, although you can try bending the high blow notes for expression. 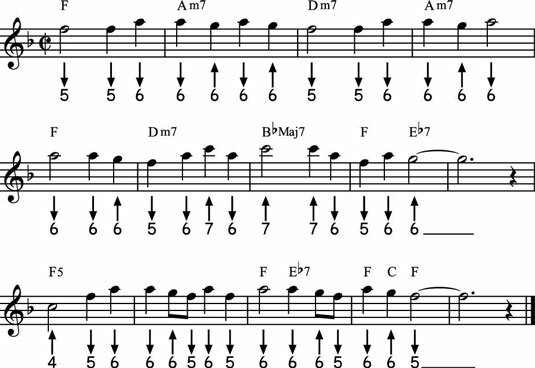 If you’re reading the music notation above the tablature, it’s written an octave lower than actual pitch for more convenient reading. The minor-key gospel song “Poor Wayfaring Stranger” has been recorded by many folk and country artists. If you go looking for the song’s history, you’ll find many conflicting claims about its origin, but it seems to go back in American tradition at least to the early 19th century. 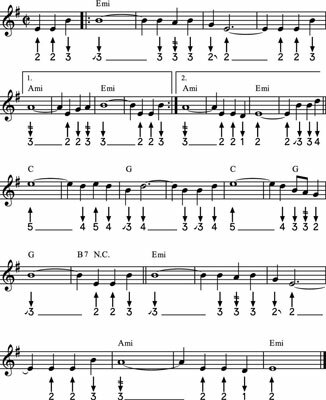 On harmonica, “Poor Wayfaring Stranger” can be played in fourth, fifth, and even second position (with a little note bending). However, it works especially well in fifth.